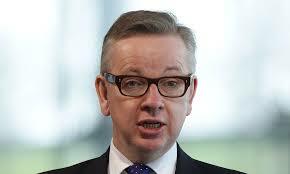 Michael Gove, Britain’s Education Secretary, recommends removing 20th C American texts by Steinbeck, Miller, and Lee. The news is not all bad, however. Instead of considering the removal as a literary slight to the multitude of authors who write in English -but who do not serve the Crown- perhaps Americans should be grateful that those discomforting moments of U.S. History are being hidden or systematically expunged from the prying eyes of young British readers. Students do not need to be exposed to the effects of prejudice, intolerance, and poverty through the lens of an American culture when British culture already has a plethora of masterworks that focus on their own brand of bigotry, bias, and destitution. Why would British students need a global perspective as they enter the 21st Century workforce? Consider how wonderful for Americans that Gove has eliminated the need to explain the real inditement of our judicial system through the fictional violation of Tom Robinson’s civil rights despite the dramatic evidence provided by his defense attorney, Atticus Finch. How brilliant that British students will never have the opportunity to connect the fictional fraud in the trial of John Proctor to the real terror of the McCarthy Hearings and Communist witch hunts of the 1950s. How fabulous that readers in the United Kingdom will not be forced to read how the myth of the American Dream is often unattainable, especially when a scientifically confirmed climate change associated with the Dust Bowl contributed to harsh economic realities. So, thank you, Secretary Gove, for keeping America’s literary exposés on dirty secrets hidden. Now, a schoolchild’s positive image of an American 20th Century will not be tarnished by the likes of those upstarts Lee, Miller, and Steinbeck. Yes, Mr. Secretary, for British students everywhere, ignorance will be bliss!